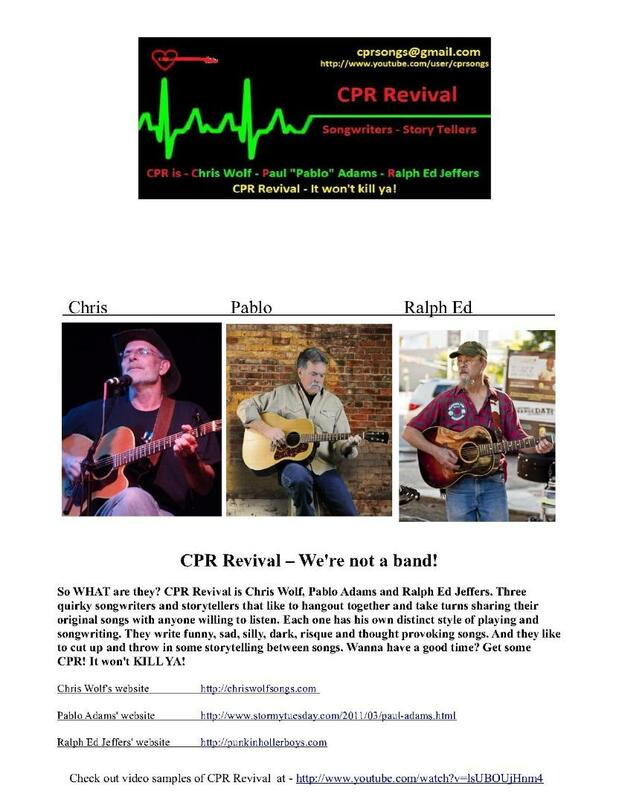 CPR Revival - We Ain&#x27;t A Band! OK, this is who we are. Just three old guys that write some songs. Okay? You might like some of them. You might not. Who knows? We don't! You gotta listen and figure that out for yourself! That's all we got! Let us know what you come up with!